MODERN MILK JUG FOR ON-THE-GO. 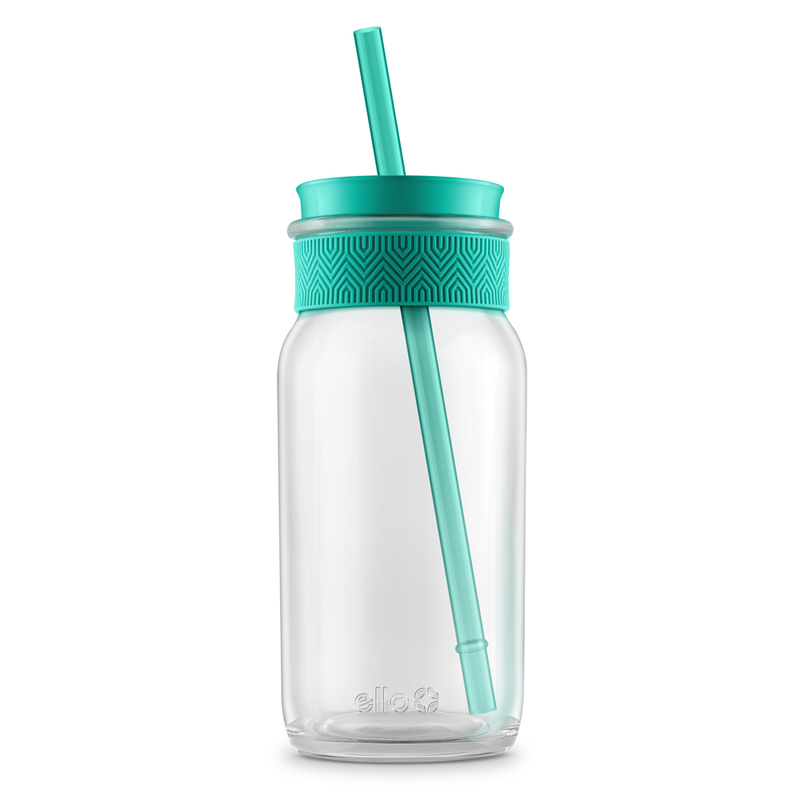 The Ello Elsie Glass Water Bottle is made of clean-tasting glass that won't leach, stain or smell. Its wide mouth opening makes it easy to clean and add ice. A leak-proof stopper lid lets you drink directly from glass, not plastic. 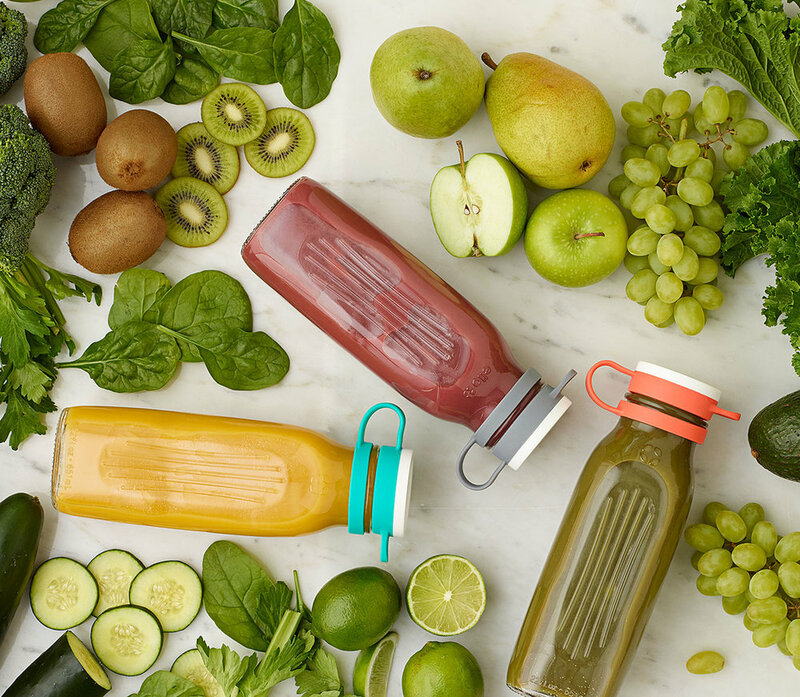 Perfect for juices, smoothies, salad dressings and more! Everything tastes better in glass.